A Chinese Long March 3B booster successfully orbited two Beidou navigational satellites on Monday. The flight, which took off from the Xichang Satellite Launch Center, was the seventh orbital launch by China in 2018, leading all nations thus far. SpaceX also conducted a static fire of a Falcon 9 booster on Monday at Vandenberg Air Force Base in California. The rocket is set to launch Hisdesat’s Paz satellite on Saturday using a previously-flown first stage. 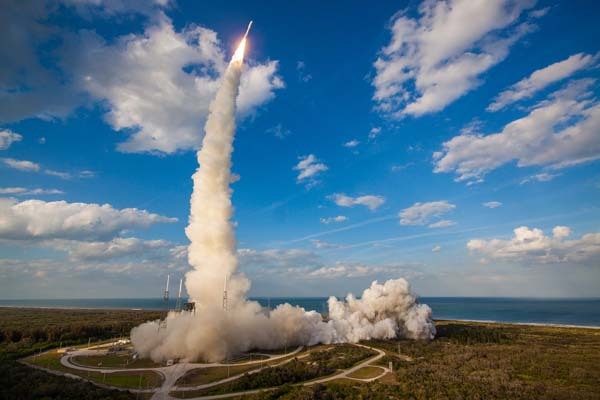 The launch will be followed by another flight five days later from Cape Canaveral in Florida. Here is the launch schedule for the weeks ahead. Check for updates here. Built by Airbus Defense and Space, Hisdesat’s Paz satellite will provide radar imaging as well as ship tracking and weather data. The flight will use a previously-flown first stage. The Hispasat 30W-6 satellite, built by Space Systems/Loral, will provide communications services over Europe, North Africa and the Americas. The Japanese government’s Information Gathering Satellite carries an optical reconnaissance payload. 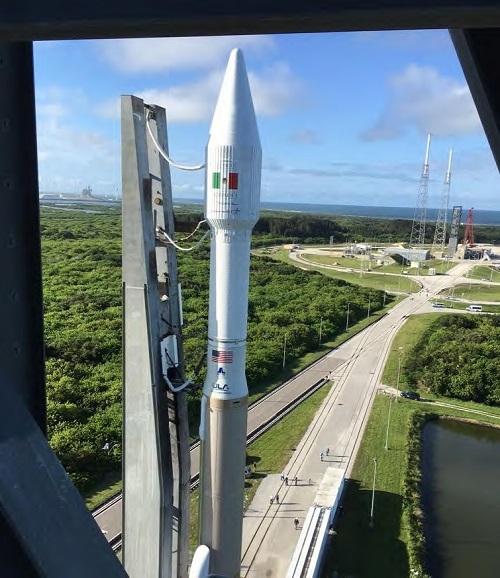 The United Launch Alliance rocket will launch the second next-generation geostationary weather satellite for NASA and NOAA. The four O3b Networks will provide broadband services to developing countries. China launched a satellite that will search for signals that could help scientists to predict earthquakes on Thursday. The China Seismo-Electromagnetic Satellite will study electromagnetic signals in Earth’s atmosphere and ionosphere to determine if they can be used to predict earthquakes. The Chinese-led mission is being conducted in cooperation with Italy. The spacecraft was launched aboard a Long March 2D booster from the Jiuquan Satellite Launch Center. It was the sixth successful launch of the year for China. Here is the launch schedule for the rest of the month. Check for updates here. The inaugural flight of the Falcon Heavy will send a red Tesla Roadster into deep space. Resupply mission to the International Space Station. The Information Gathering Satellite carries an optical reconnaissance payload. The rocket will launch two Beidou navigation satellites. The GSAT 6A satellite will provide S-band communications services and demonstrate technologies for future satellite-based mobile applications. 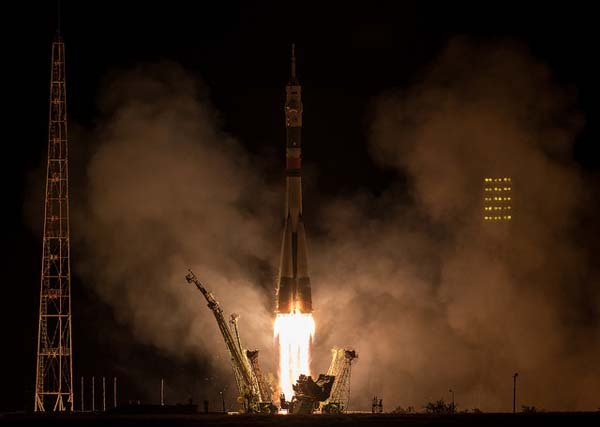 But a source told AFP the satellites did not detach from the rocket in the correct place after the craft followed an “imperfect trajectory”. Arianespace said they were currently “repositioning the satellites in the right place using their propulsion systems” adding that the current status was “reassuring after strong concerns”. I don’t see any further updates on the mission on the websites of Arianespace, SES or Yahsat. This leads me to believe the AFP report is accurate. 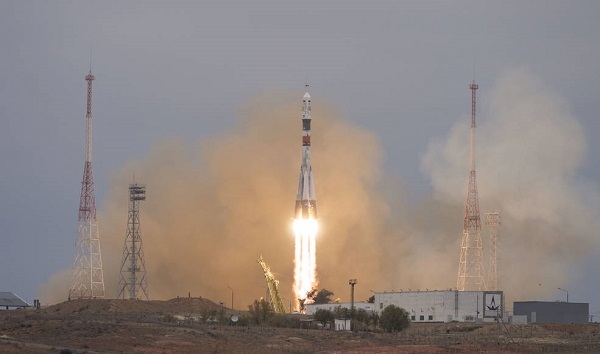 If it had been a simple telemetry loss, Arianespace would have said so, and there would be press releases and social media messages declaring the flight to be a complete success. Yahsat does have a link to a page with an update about the mission. It’s in Arabic so I ran it through Google Translate. The update doesn’t appear to go beyond Arianespace’s original statement about the spacecraft separating from the second stage and being in contact with control centers. Controllers lost contact with the upper stage of an Ariane 5 booster carrying a pair of communications satellites on Thursday. 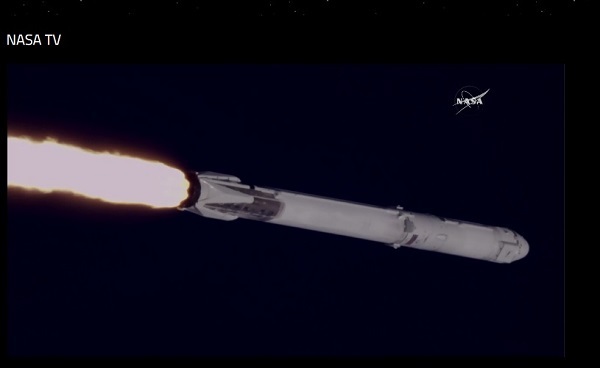 The loss telemetry began a few seconds after ignition of the stage and continued through the rest of the powered flight, Arianespace said in a statement. The precise orbital parameters of the geosynchronous communications satellites are unknown. SES-14 will use electric propulsion to reach its intended orbit while the Al Yah 3 will use a liquid bi-propellant transfer system. Earlier on Thursday, China launched the fourth group of three Yaogan Weixing-30 satellites. A Long March 2C booster flew from the Xichang Satellite Launch Center. Officially, the Yaogan Weixing are remote sensing spacecraft. However, analysts believe they are military reconnaissance satellites. 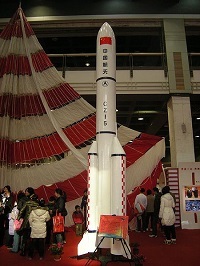 The flight marked China’s fifth successful launch of 2018. 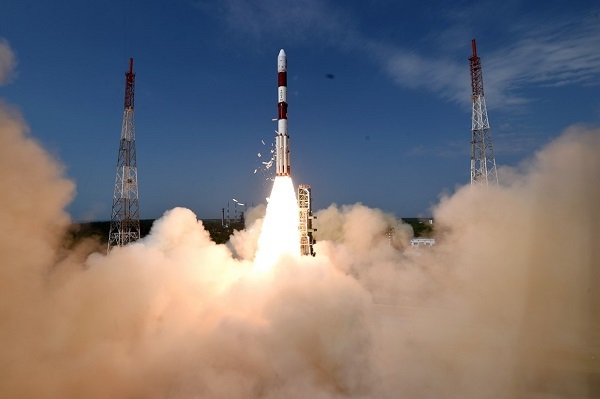 The nation is aiming to achieve more than 40 orbital launches this year. This video shows a stage from the Long March 3B booster crashing down near a town in China. The rocket launched a pair of Beidou navigation satellites from the Xichang Satellite Launch Center on Thursday. A Long March 3B rocket placed a Chinese communications satellite into an extremely lopsided orbit on Monday following what official state media say was an anomaly with the booster’s third stage. Space-Track.org reports the Zhongxing-9A (Chinasat-9A) spacecraft is in an orbit measuring 193 x 16,357 km. 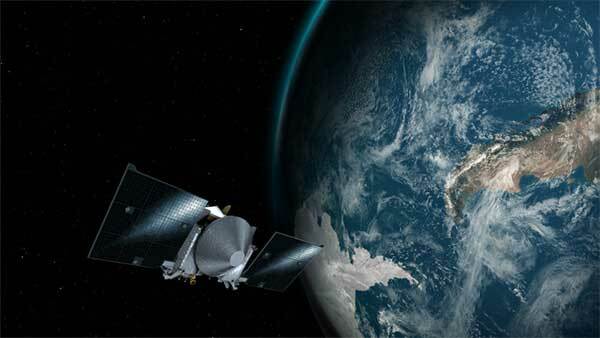 It is not clear whether the geosynchronous satellite can be salvaged. Chinese media report the spacecraft is healthy with solar panels and antennas deployed. The satellite was launched aboard a Long March 3B rocket from the Xichang Satellite Launch Center at 00:12 local time. Zhongxing-9A is designed to provide direct-to-home television broadcast services to China, Hong Kong, Macau and Taiwan. China launched the Zhongxing-9A (Chinasat-9A) communications satellite early Monday morning, but the fate of the spacecraft remains unclear. Normally an official confirmation of launch success would be issued. However, no updates have been provided yet, a sign there might have been a problem with the launch. The spacecraft was launched aboard a Long March 3B rocket from the Xichang Satellite Launch Center at 00:12 local time. How did someone get this close to the launch of a Long March 3B booster at the the Xichang Satellite Launch Center? It’s a good think that rocket didn’t go kaboom at liftoff. The booster lifted off on Wednesday with the experiment Shijian 13 communications satellite. The spacecraft is described as having a high throughput communications system with a transfer capacity of 20 Gbp that will improve Internet service to high-speed trains and airliners. Shijian 13 also possesses an electric propulsion system. The inaugural flight of China’s new Long March 7 rocket next month will be the first launch from the nation’s newest spaceport. Long March 7 will carry a prototype re-entry capsule for China’s next-generation human spacecraft when it lifts off from the Wenchang Satellite Launch Center on June 26. Located on Hainan Island, Wenchang is China’s first orbital launch site located on the coastline. The Jiuquan, Taiyuan and Xichang launch facilities are all situated inland. Wenchang will be the primary launch site for Long March 7 and Long March 5 rockets. Wenchang is located 19 degrees above the equator, which will make it easier for China to launch satellites into equatorial orbit.